Great news! The ICU leadership team along with the Drs. tried the Sled2Go and loved it!! Thank you for being so wonderful and sending the sample. We will be contacting you with the order. 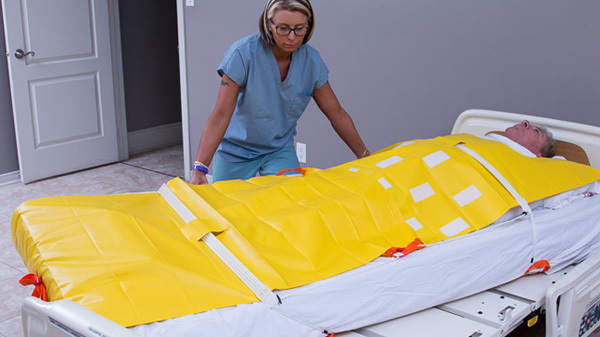 The AHA Publication Health Facilities Management Magazine notes that a study was done that compared the Evacusled to the blanket drag method. It stated, “...only one of the volunteer rescuers (a male) could complete one full lap using the blanket drag, pulling a 160-pound female evacuee. The remaining rescuers found it impossible to move the evacuee 100 feet. In comparison, using the new device, each of the volunteers was able to complete five 100-foot laps without assistance using the same evacuee in an average of 21.6 seconds per lap. 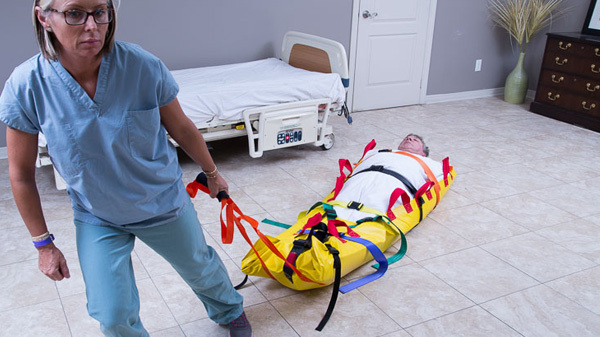 It involves no lifting, only pulling and one person can evacuate one patient” Greco said that “every staff member in the hospital has been taught to use this device; every housekeeper every dietary person, people in finance, everyone. All the patients on one unit of the floor had to be evacuated to a secure part of the hospital. The Evacusled worked perfectly. Nurses, aides, and volunteer fireman were able to evacuate all patients quickly and safely. There were no injuries even though our patients are frail and elderly. 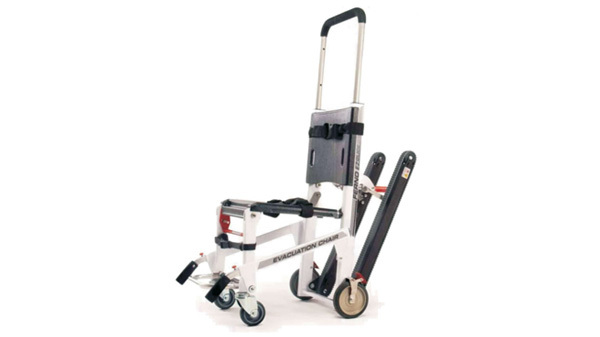 Evacusled stood out above the rest as the absolute best for both staff and patient. Ease of use, safety and patient care considerations led us to choose Evacusleds for our State Hospital Association. The efficiency of the Evacusled deploying method allowed a timely evacuation even in the middle of the night shift when staffing was less and there were no other support staff in the hospital. The Evacusleds permitted the patients to rest comfortably. As the Regional Resource Center for a 13-county, 20-hospital region responsible for HRSA-based planning with our regional hospitals, we have been purchasing Evacusleds for the past three years in an effort to maximize coverage throughout the Region. We selected Evacusled because of their effectiveness, ease of use, and durability. I think this is a wonderful product and would recommend it to any hospital. Even our patients that watch our training think it is a great idea. Some of them have stated that they were happy to be in a hospital that is thinking ahead for disasters. The Associate Director of Nursing Services and the Chief, Facilities Management and Chief of Housekeeping Services all took rides off the beds and down the stairs. They all said that the Evacusled was unparalleled and really enjoyed the training. 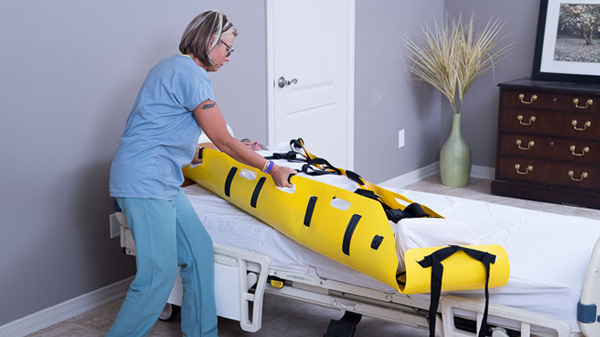 The sled includes 25 wheels on the bottom, and is slid off the bed frame with the patient and mattress,” explains Pam Zauner, Mercy Hospital’s Safety Director. “The entire process takes only moments and the patient remains safe, warm, and comfortable. Lemoine; a Vietnam veteran, traveled to New Orleans VA for surgery. He was recovering at the VA when the hurricane hit. On Thursday, Missouri and North Carolina Air National Guardsman led an effort to evacuate patients including Lemoine. Lemoine, an amputee, was placed on an evacuation device called an Evacusled and evacuated him down seven flights of stairs.